Magnificent mountain farm, organic, producing essential oils and olive oil. In the Groot Winterhoek mountains. Each cottage has breathtaking views. Access to dam for swimming and the Ratel river for waterfall. Lovely walking, with caves and Khoi-San rock paintings. 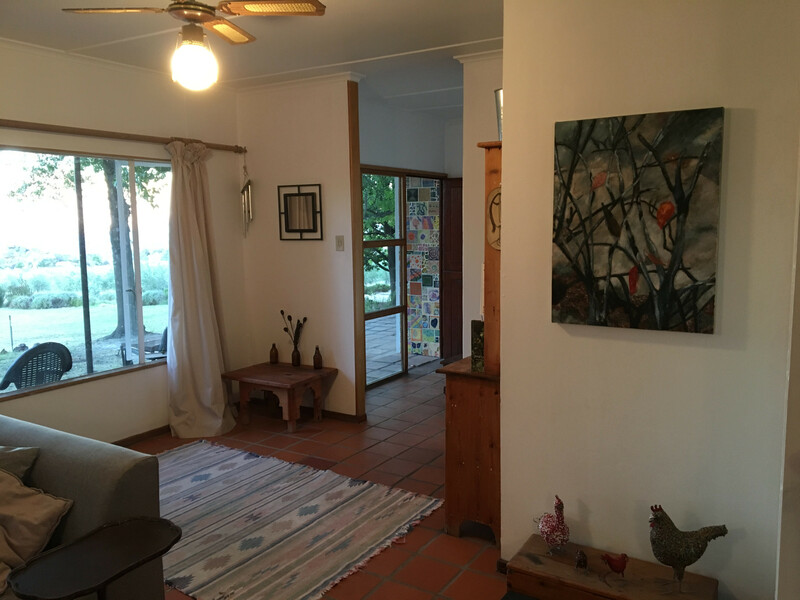 Rockhaven Farm is a 2 hour drive from Cape Town. 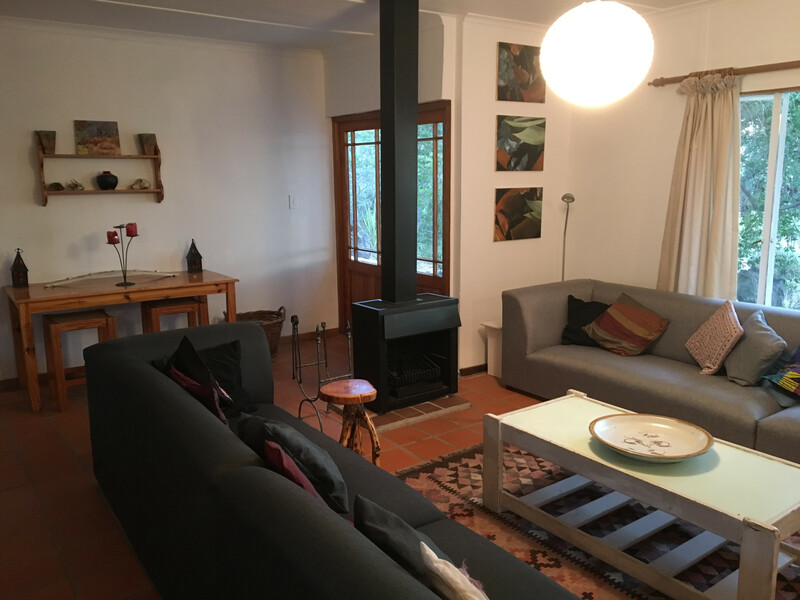 The farm is situated in the Groot Winterhoek Mountains above the town of Porterville in the Western Cape of South Africa. About 20 kilometers is on gravel, but the roads are regularly gradered and ordinary sedan vehicles cope happily. We do occasionally have flooding problems in winter, in which event the road may be closed - we will let you know beforehand if this happens. Rockhaven is in a remote area where access and communication is fairly limited. 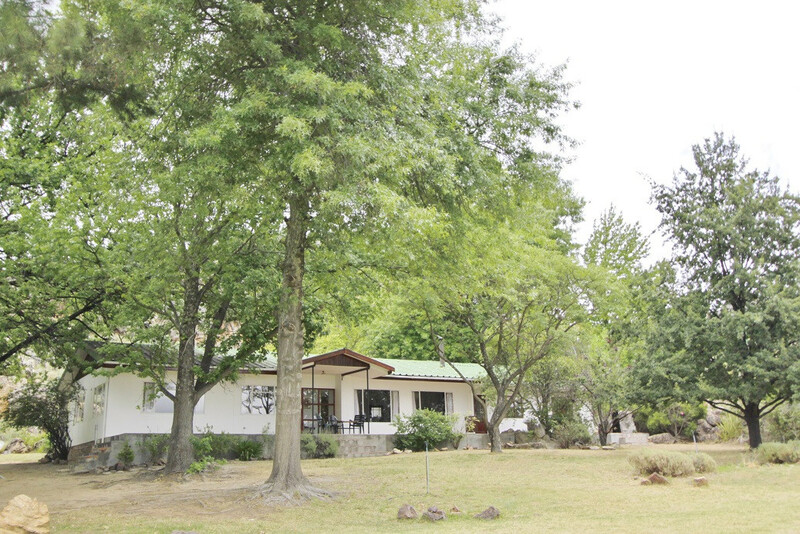 Rockhaven Farm is 120 hectares in extent and is owned by Grant Sieff and Andrew Brown. 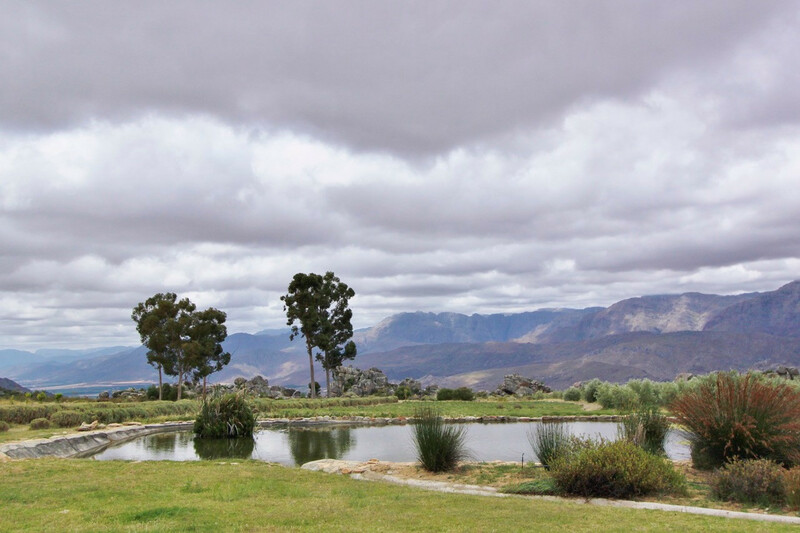 The farm lies at approximately 700 m above sea level in a mountainous conservation area known as the Groot Winterhoek Conservancy : approximately 14 farms together with the Cape Nature Conservation Wilderness Area form this conservancy. The purpose of the conservancy is both to assist everyone living and working on the mountain (for example, by co-ordinating fire fighting and road maintenance), and also to ensure that the beauty and natural biodiversity that the mountain offers is maintained. 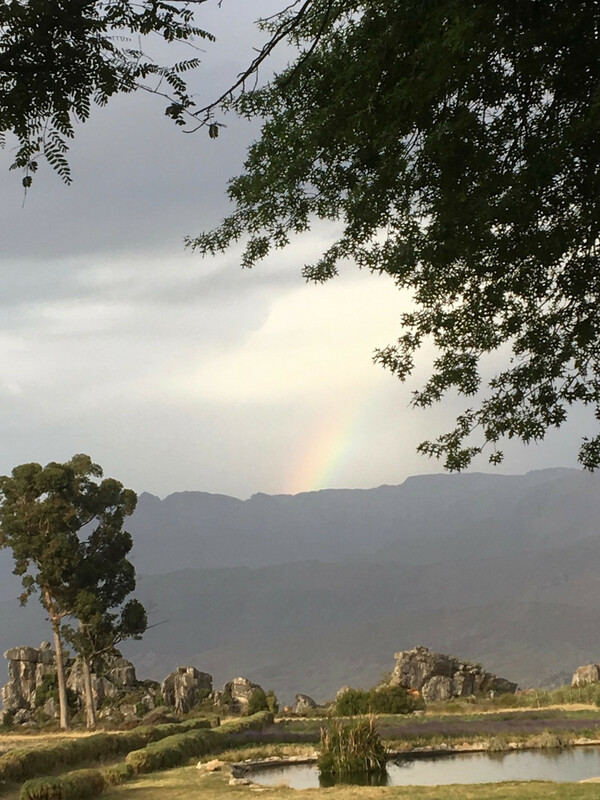 The geographical conservancy area forms a vital catchment area for the Oliphants River and it is essential that the purity of run-off and ground water is not detrimentally affected by the farming activities on the mountain. We have strong underground water which is used to fill the dam and this water is then used for irrigation. We are also blessed with an extraordinary array of fynbos species and with extensive wildlife (including leopard). The conservancy ensures that this biodiversity is not threatened, and that the problem of alien invasive species (for example, Australian Wattle, and foreign fish species) is tackled in a coherent manner. We are in the process of introducing the indigenous Clanwilliam Yellowfish into the dam, with the assistance of the conservancy. The farm is home to a wide range of mammals (including leopard, a variety of buck and hares), birds (including black eagles, cape eagle owls, kingfishers and nightjars) and reptiles (including chameleons, tortoises and a variety of snakes, including Horned Adder, Cape Cobra, Spitting Cobra and Boomslang). Follow the ‘Wildlife’ link for a comprehensive list:-Wildlife. The fynbos is unspoilt and the remaining alien trees (mainly Australian Wattle and Pine) are being removed. 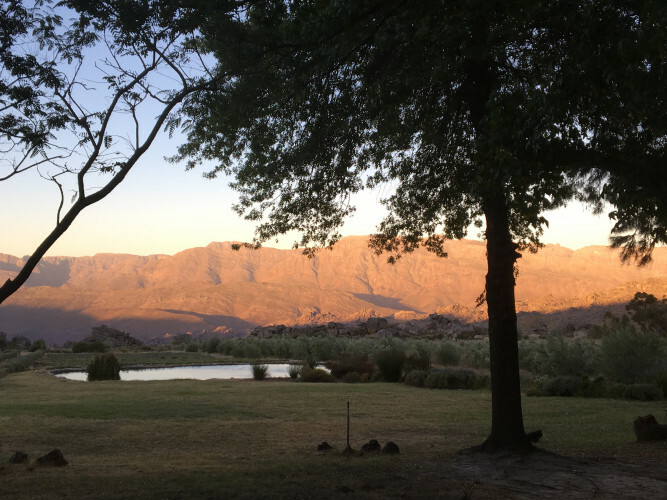 There are beautiful walks across the farm and the adjoining mountains, and there is excellent swimming in the Ratel River and the farm’s dam. Please note that we don’t allow 4 x 4ing, motorbikes or quadbikes. The farm was originally a fruit farm, starting with apricots and pears, and then concentrating on apples (Golden Delicious, Granny Smith and Fuji). The fruit was farmed conventionally until the farm was purchased by the current owners in 2005. Since then the farm has only been farmed organically : apart from the apricots, the fruit trees on the farm have not been cultivated further. For those with GPS or Google Earth capability, the GPS co-ordinates are: -32.926755, 19.063454. Ratel Farming produces organic, virgin cold-pressed olive oil which is sold off the farm. We produce a small quanitity of table olives as well. We use mainly Mission and Frantoio varieties for the oil. The table olives are Mission, although we have started to experiment with Kalamata. Our oldest trees are five years old. Ratel Farming produces small quantities of raw honey that is registered as organic and which is certified as badger friendly by WWF. This makes us one of the few honey producers in South Africa to achieve overseas organic certification. The honey is harvested, spun out and bottled on the farm as a pure and raw organic honey. The honey is mainly sold off the farm, although orders can be placed and collected in the southern suburbs of Cape Town.